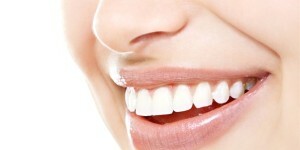 A shiny and beautiful smile is the gateway to a more presentable and beautiful personality you have. It only does not make you stand out from the crowd but also gives you a special charm/attractiveness that cannot be resisted by anyone. This goes especially for the times when you need to get involved in some special event/occasion where you cannot afford to lose the charm of your personality. And as we have mentioned earlier, a beautiful, shiny and sparkling smile is your first impression maker, which is usually the last as well so you don’t have any other chance except to be supremely perfect on the first time. Therefore, keeping this factor in mind one of the most reliable and well-known dentist in Los Angeles Dr. Shervin Louie has some recommendations for you to follow. So, let us see how we can make our teeth stand out among the rest with a shiny coat before going on a special occasion. Think for once about going to your dentist rather than trying out a teeth-whitening kit available in the market. We can assure you that you won’t regret this decision afterward because we also know the dangers these sudden-chemical whiteners have for your dental health. Instead of using a chemical potion on your teeth to make them look better for the special occasion, consider having a professionally done bleaching by an authentic dentist in Los Angeles (like Dr. Shervin Louie). Dr. Shervin Louie’s expertise in providing dental solutions are well-known and appreciated throughout the suburbs of Los Angeles. At the comfortable environment of Aesthetic and Implant Dentistry, which is located in a very peaceful and relaxing environs of 321 N Larchmont Blvd, Dr. Shervin Louie will do a bleaching of your teeth that you will not forget for long. Don’t think that it is a ploy by Dr. Shervin Louie to get customers, but having teeth bleaching done by a professional dentist for the purpose of making teeth shine is recommended by the American Dental Association. And that is especially against the use of teeth whitening products because of their side-effects. One of the other main reasons for a bleaching session at a dentist is because of the pure whitening ingredients used by a dentist. The amount of effectiveness preferred is higher up to 35% as compared to those products available in the market, and safe as well. The procedure is as follows: Your dentist will apply a whitening gel on your teeth and then will go for bleaching using laser technology. Laser technology is very effective in this regards since it can penetrate deep into the teeth and provides you a much longer and deeper whitening effect. Lasting usually for an hour, this technique will make you leave the office of your dentist much happier and with super-shinier teeth. 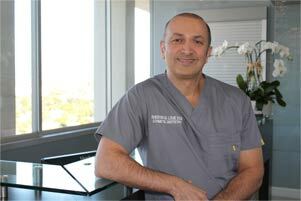 So, by the expert advice of Dr. Shervin Louie, a dentist in Los Angeles, before going out on your first date, interview, wedding occasions, business meeting or any other special event; make sure you check up with the only-for-your-service dentist as the professional bleaching of your teeth is the only best way to get the shiniest smile. You will be confident of surety, safety, and prolong effect which no other unknown chemical products of the market can provide.